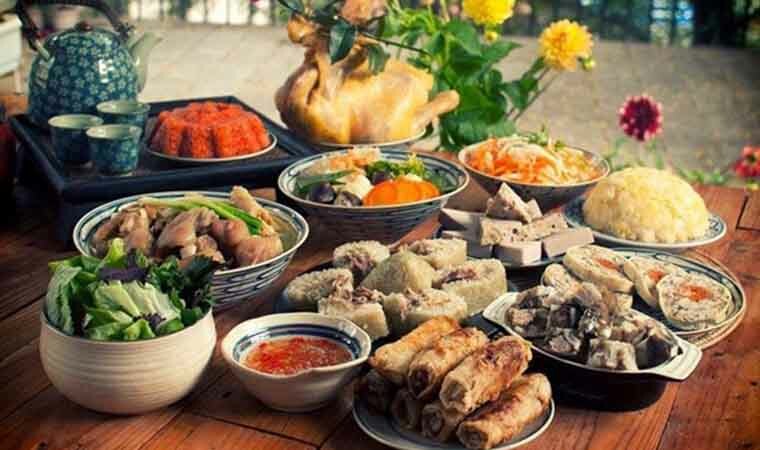 There is a plate that can be served all year round, and presented in almost every menu of Vietnamese restaurant, a dish that is so famous that many locals of Vietnam assume it as their own specialty and endow it their own name as “Nem Ran” by northerners and “Cha Gio” by southerners. There is nothing rather than the reputation of Vietnamese spring rolls. How Spring roll is served? Ranked 30 on the World’s 50 most delicious foods by CNNGO in 2011, these spring rolls are considered to be a very popular to both Vietnamese and foreign appetizers. It is believed that Vietnamese spring rolls have been made with different ingredients which are lighter, more delicate and healthier than the Chinese version. 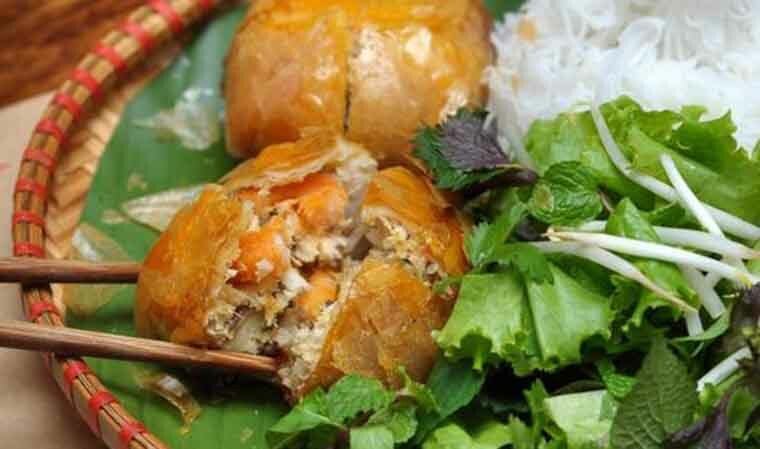 Fried spring roll was brought to Hanoi from the Southern areas of Vietnam and has rapidly become a favorite food of Hanoian, and to express the affection as well as to remember the real origin of the dish, some people call it “Nem Sai Gon”. Interestingly, Vietnamese Fried Spring roll in Polish is so called “sajgonki”, named after Sai Gon when southern Vietnamese people immigrated into Poland. Vietnamese fried spring roll is a dish of Vietnam, traditionally comprising of lean minced pork, rice noodles or rice vermicelli, edible mushroom, dried or spring onion, together with duck/ chicken eggs, pepper, salt and different kinds of seasoning, all wrapped in “Bánh tráng” commonly known as Vietnamese steam rice paper. Ingredients used for the fried spring roll are different depending each local, in which people mixed sea crab or unshelled shrimps to add in the flavor for the Nem. There are also special variants of the traditional pork-based roll, such as Crab spring rolls or Nem Cua Be. Whichever they are, all ingredients are mixed thoroughly before being wrapped with rice paper into small rolls. These rolls are then fried in boiling oil. 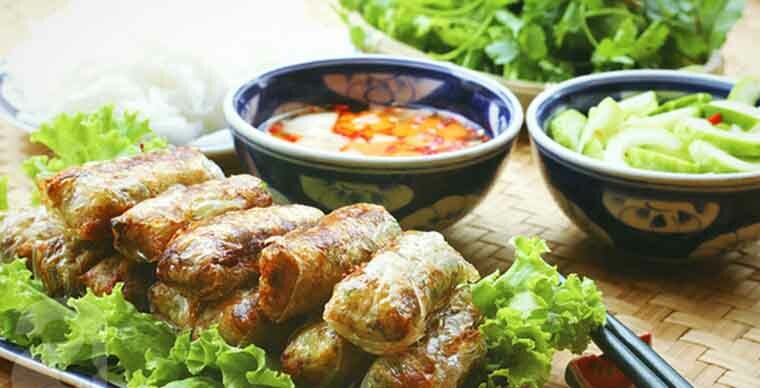 Unlike popular myth, Vietnamese do not eat fried spring rolls with rice every day as the making process is somehow sophisticated and time consuming. 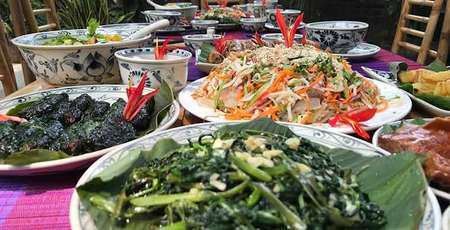 In fact, it is a preferred food on special occasions such as Lunar New Year (Tet Holiday) and other festivities or family reunion. 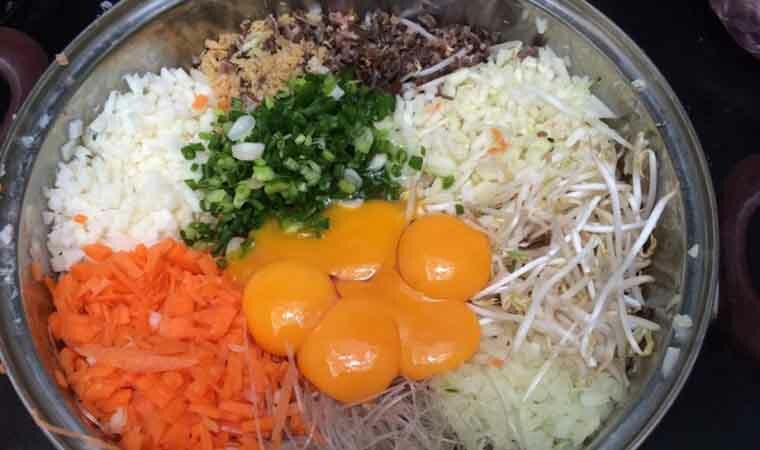 Like Italian crawls for Italian pizza, Vietnamese people living or studying far away always thinks of this special dish whenever they feel homesick coming around. 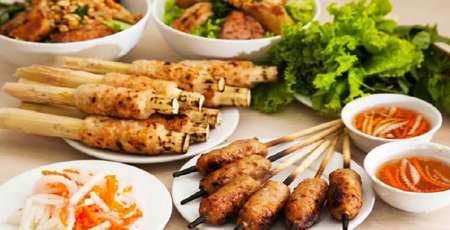 Spring rolls not always go along with rice but also seen with rice noodle in the Bún Nem or Grilled pork with rice noodle. Whether being served with steam rice in daily meal or with rice vermicelli, Vietnamese fried spring roll could not come without the special Deeping sauces. 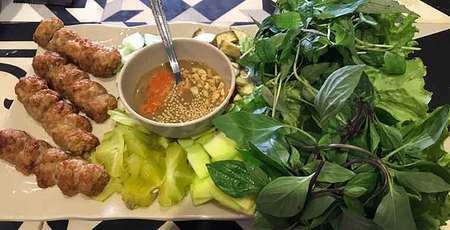 Not many foreigners may know that the sauce for friend spring roll is not the same for every dish of Vietnamese meal. Each dish has its specific demand of dipping sauce and with fried spring roll it requires more than a good recipe. A quality dipping sauce bowl for this dish must be the harmonious combination of flavors such as lemon juice, sugar, chili, mashed garlic, the pepper corns and most important is the fish sauce. 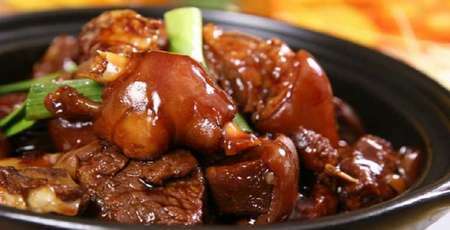 Some has said that the sauce brings along a strong taste and flavor, especially when it is served hot. 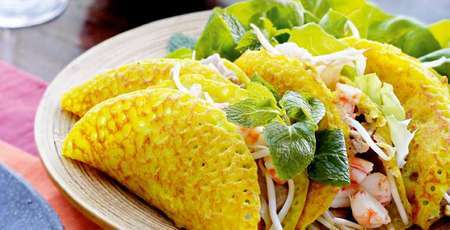 Not only the herbs added inside the filling, Vietnamese people usually eats the spring rolls with many kinds of vegetable, such as lattice, mint, lemon balm, catnip, and cilantro, believing that the vegetable would reduce the greasy of the fried rolls. 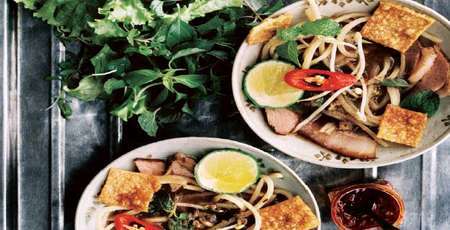 If you are a backpacker, sitting somewhere in the pavement, eating street foods may inspire your food tours. We recommend you Nem Cua Be at 39 Ly Quoc Su, Hang Trong street, in which you find the best springs rolls at a surprisingly cheap price.